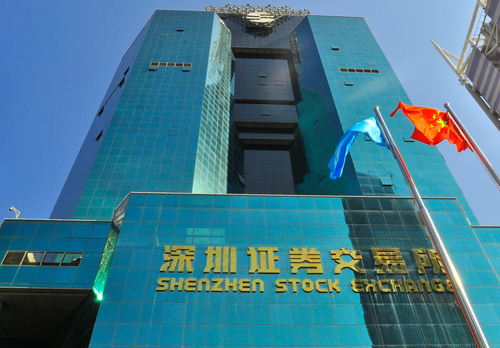 Listing on either of the two mainland Chinese stock exchanges, Shanghai Stock Exchange and Shenzhen Stock Exchange, rarely crossed the mind of Chinese internet companies until recently. Baofeng, the video player software and video content provider, finally made an IPO earlier this month on the Shenzhen Growth Enterprise Market. Gaming company Kunlun, or Kalends, debuted on the same exchange earlier this year. Another Chinese gaming company Chukong, which made an attempt for a US IPO in the first half of 2014, is now considering an IPO on a mainland stock market, company CEO Chen Haozhi said at a launch event earlier this month. Sina Corp., listed on the NASDAQ in 2000, was one of the first Chinese internet companies to go to IPO. Since then, most Chinese tech companies have been traded in the US and a small number on the Hong Kong Stock Exchange. The primary reason for not listing on any of the local markets is a majority of Chinese internet companies are foreign-funded and under VIE structure (foreign investment is banned in China’s internet sector.) A major driver for the US becoming the first choice for listing is a majority that its stock exchanges don’t require sustained profitability, a condition most internet companies (Chinese and otherwise) can’t meet in their first few years in operation. A few profitable Chinese tech companies, notably Tencent and Alibaba.com (Alibaba Group’s business-to-business marketplace) chose Hong Kong to go public. But last year Alibaba Group eventually chose the US over Hong Kong to IPO because the latter doesn’t allow dual-class share structure with different voting rights. Many major tech companies, including Google, Facebook and Chinese search giant Baidu, have adopted this structure to make sure core executives retain control of voting rights. What make Chinese internet companies begin to consider mainland Chinese markets include (1) shares of some tech companies listed on local markets have been performing well in recent years and (2) some business models are better received in China than in the western markets. Listed on the Shenzhen Growth Enterprise Market in 2010, LeTV, smart device maker and internet content provider, attained the highest market cap in 2014. While we saw a flock of Chinese tech companies make US IPOs in the last couple of years, the stock performance of some is discouraging. Qihoo 360 was of the top ten best-performing stocks in the U.S. stock market in 2013, but its current market cap is 25% less of that of Shanghai 2345 Network, which has used a similar montization approach to Qihoo and went public in Shenzhen earlier this month, as of today (March 30th). Baofeng initially wanted a US IPO but found, compared with Youku (NASDAQ:YOKU) who has a similar business model to Youtube, its video player plus online video model wasn’t well received by western investors. Many Chinese tech companies had worked hard to make their businesses appealing to the western world in the hope of a successful US IPO. The major reason that Chukong suspended US IPO plan was because its management weren’t satisfied with the valuation. Gaming companies are historically valued low by western investors relative to their high profitability. Some gaming stocks on mainland Chinese markets, including Ourpalm (SZ:300315) and ZQgame (SZ:300052), are trading at way higher PEs than most on U.S. markets. In an interview with QQ Tech News (source in Chinese), Chukong’s CEO said they had previously thought the U.S. markets were the best, but then concluded today’s mainland stock markets are better than had been expected.